The entire experience was great! I have worked with John in the past and he lived up to his name. He initially came and took his measurements and then his crew was out once the windows were made and installed in a few hours. The finished product looks great and we enjoy actually being able to use our windows. I also want to add that his crew not only worked in some frigid weather but they also took the time to clean up the work site. I appreciate this gesture because I have had other workers leave garbage behind and not respect our home. Best pricing was very competitive. Needed to have windows installed quickly. All others gave a 6 week window. Best had windows installed two weeks after they were ordered. Installers were very professional. Will definitely recommend. John is the best. No high pressure sell tactics! Best estimate. And his installers were there on time. They worked all day. Went above and beyond with a quality installation. Very happy with my new windows. Already feel a difference in my split level home. Gorgeous windows. You worry with a big job like this that something will go wrong but I kept waiting and the job went off without a hitch! Very impressive. Thanks!! We replaced ALL the windows (27) in our house. It was a very positive experience starting with the first phone call I made to John. He gave me a brief overview of their windows and prices over the phone and we then set up an appointment for him to give us an estimate. John quoted us a price and told us approximately how long it would take for the windows to come in. (John’s pricing is completely no nonsense. You are given a price and that’s what the price is. He doesn’t push you to sign that day. Think it over and call when you’re ready to commit.) We were notified when the windows arrived and set up a start date. The crew arrived on that date and on time and worked like a well-oiled machine! These guys work REALLY hard with only a short lunch break. They finished all the inside work on the first day and then came back the second day to complete the outside work. There was a glitch with the measurement of one window so we had to wait for that window to come in. As soon as that window came in, the work was promptly finished. We love our new windows and are 100% satisfied with Best Windows Inc. We would recommend them to anyone! John the owner was great. Came on the day and time agreed upon; was very pleasant to talk to, explained what to be done and made great suggestions. John gave us an estimated day when the windows will be installed and it came to be true. One person came to take all the measurements. A team of three persons came on the installation day worked very hard none stop, and finished the job in one long working day. They moved whatever needed to be moved, then returned everything where they belong and left everything clean inside and outside. John and his team were professional, courteous and expedient. 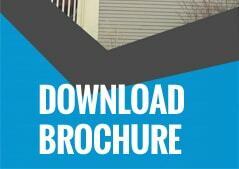 I highly recommend them to anyone who wants the best windows at good prices! John was professional, honest, and thorough. The window installers were good, fast, and clean. Would recommend and use again! It was fine. They came out and installed the windows in one day. The two guys that were here were very professional, worked diligently to get it done, and I’m very happy with the windows. The product is good and the company is very polite. I think the owner came out as well and told me that if I needed anything else besides windows and he would be able to get me a quote for other remodeling projects that I needed. They were wonderful and I would recommend them anytime. I was very happy with them. When they installed the windows, I don’t think it would fit right and actually had to go out and get another piece and bring it back, and it was already the end of the day and they made sure they had that all done before they left, didn’t leave me here with it for the next day but they took care of it that day. It was really good experience, pricing was fine, and did a good job. John was very responsive. His crew was efficient and cleaned up after themselves well. 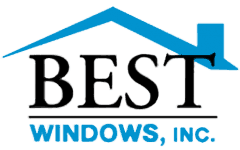 I would feel very comfortable recommending Best Windows, and would choose them again.